There are many ways to optimize mitochondrial function by changing diet, lifestyle, and supplementation. Improving mitochondrial health can boost energy levels and improve physical health and immunity, ultimately increasing your lifespan. Supplements and lifestyle changes can improve mitochondrial health by increasing the availability of proteins needed for ATP production (AMPK activation, PCG-1a, NAD+, SIRT1/3). They also act as antioxidants, assisting the mitochondria in reducing oxidative stress [R]. Some of the following lifestyle changes and supplements may also increase the number of mitochondria present within the cell. Restricting calories and fasting intermittently, such as for fixed hours of the day, decreases energy levels in the body. To compensate, levels of NAD+ increase, which increases the ability of the mitochondria to produce ATP. This results in a subsequent rise in ATP levels due to improved mitochondrial function [R]. In a similar manner to calorie restriction and fasting, exercising depletes energy from the body. This, in turn, improves mitochondrial function by increasing the availability of NAD+ molecules required to make ATP [R]. Additionally, exercise requires energy from the muscles to power through and provides oxygen throughout the body. Continuous exercise increases the number of mitochondria in muscle cells so that adequate ATP levels can be provided for use during exercise [R]. In fact, one study in 8 healthy elderly volunteers found just 2 weeks of high-intensity interval training (HIIT) significantly increased mitochondrial function in the muscle [R]. Cold temperatures have a profound effect on the mitochondrial number. Exposing rats to swimming in cold temperatures (23°C) increased mitochondrial generation by increasing the protein responsible for initiating mitochondrial synthesis (PGC-1alpha) [R]. Similar results were seen in rats’ liver and skeletal muscle cells after cold exposure for 15 days [R]. The ketogenic diet is a high-fat, low-carb diet that switches your body from running on carbs to running on fats [R]. When we break down fats for energy, small molecules called ketone bodies are produced that are used for the production of ATP instead of glucose. This results in improved mitochondrial function (PGC-1alpha, SIRT1/3, AMPK activation), higher levels of ATP from the electron transport chain, and overall cellular health [R]. One study found that a ketogenic diet slowed down mitochondrial myopathy (muscle disease) in mice in part by increasing the number of new mitochondria (mitochondrial biogenesis) [R]. Oxaloacetate is an intermediate product produced during the Krebs cycle (see mitochondria part 1) and can be purchased as a supplement. In mice, daily injections of oxaloacetate for 2 weeks increased the number of mitochondria in brain cells. This was mediated by increasing the production of proteins responsible for building new mitochondria and improving mitochondrial function [R]. Another intermediate of the Krebs cycle, malic acid (AKA malate), has a number of health benefits linked to improved mitochondrial function. It is a key step in the pathway of energy production by the mitochondria. In worms, malate supplementation increased the availability of NAD+, which is necessary for producing ATP. Malate also increased NADPH levels, which is a fundamental antioxidant in the body that promotes mitochondrial function [R]. Malic acid supplementation enhanced strength and endurance during exercise in a study (DB-RCT) of 14 males, likely by improving mitochondrial function [R]. Resveratrol is a potent antioxidant used as a supplement for a variety of health benefits. Found naturally in the skin of red grapes, it can improve mitochondrial function and increase the number of mitochondria per cell. In a rat model of Parkinson’s disease, resveratrol prevented neurotoxicity by increasing mitochondrial synthesis and improving mitochondrial function [R]. Similarly, in mice given resveratrol for 15 weeks, resveratrol increased exercise capacity and muscle oxygen consumption. There was also an increase in proteins (SIRT1/PGC-1 alpha/AMPK) that are linked to mitochondrial synthesis and oxidative phosphorylation [R]. Conversely, resveratrol given to both rats and mice for 8 weeks did not show improvements in mitochondrial function or synthesis. This was attributed to low oral absorption of resveratrol, which may be responsible for the lack of effect seen [R]. In multiple types of cells, resveratrol increased the levels of proteins (SIRT1/PGC-1 alpha/AMPK) involved in manufacturing new mitochondria [R, R, R]. Apigenin is a natural substance occurring in many different fruits and vegetables. Apigenin given to obese mice prevented the breakdown of NAD+ and therefore increased levels of NAD+ and SIRT1, a protein involved in both mitochondrial function and genesis [R]. In cells exhibiting high levels of stress, mitochondrial function is decreased. Addition of apigenin was able to protect the mitochondria from cellular stress and prevent the loss of mitochondrial function [R]. In cancer cells (osteosarcoma), apigenin exhibited anticancer effects by triggering cell death (apoptosis) through the mitochondria. This is an increase in proper mitochondrial function, as one of the main roles of normal mitochondria is to induce cell death in cells that are unhealthy (such as cancer cells) [R]. Leucine is an amino acid involved in the formation of proteins. It is an essential amino acid, meaning that it is not synthesized by the body and must be obtained from food. Therefore, it is often is supplemented. In obese mice, leucine supplementation for 2 months significantly increased levels of NAD+ and SIRT1, resulting in improved mitochondrial function [R]. In muscle and fat cells, leucine increased mitochondrial mass by 30% and 53% respectively. Both increases were caused by leucine’s ability to increase SIRT1 [R]. Similarly, in skeletal muscle cells, leucine increased mitochondrial density and improved mitochondrial function [R]. Niacinamide, also known as nicotinamide, is a vitamin found in foods and often supplemented or used medically. It forms a major component of vitamin B3. Niacinamide is the precursor to NAD+ and thus, supplementation may increase levels of this molecule and improve mitochondrial function. In rat brains (striatum), niacinamide prevented energy depletion caused by d-amphetamine, a major component of the ADHD drug Adderall [R]. Niacinamide may improve mitochondrial quality of cells by causing dysfunctional mitochondria to fragment (autophagy). This effect was seen in human cells, subsequently resulting in reduced levels of mitochondria but maintained functioning, normal mitochondria [R]. Pyrroloquinoline quinone, or PQQ, is an important molecule found in certain foods and often supplemented for its profound effects on mitochondrial generation and energy levels. In mice supplemented with PQQ for 8 weeks, mitochondrial function and number were increased significantly. This was seen as an increase in the amount of mitochondrial DNA found in the cells of these mice [R]. Multiple cell studies indicate that PQQ can increase mitochondrial number and function by altering a number of proteins (increasing SIRT1, promoting PGC-1alpha production and CREB-phosphorylation) and reducing oxidative stress [R, R, R]. Lipoic acid is a naturally occurring substance that is necessary for energy production via glycolysis. Lipoic acid reduces age-associated mitochondrial dysfunction and is considered a mitochondrial nutrient [R]. In mice, alpha-lipoic acid prevented mitochondrial dysfunction caused by hypothermia [R]. In rats, lipoic acid supplementation reduced mitochondrial DNA damage, improved the antioxidant activity of the mitochondria, and increased the number of mitochondria per cell. Overall, rats demonstrated an improvement in mitochondrial function through the activation of SIRT1/3 [R]. Berberine is a compound found in plants and traditionally used in Chinese medicine. Berberine has a direct effect on mitochondrial function and may be beneficial for cancer cells. However, because berberine accumulates in the mitochondria, high doses may be toxic and can actually induce mitochondrial dysfunction [R, R, R]. In fish fed high-fat diets, berberine supplementation for 8 weeks improved liver mitochondrial function and prevented cell death [R]. In skeletal muscle cells, berberine prevented mitochondrial dysfunction by increasing SIRT1 levels and subsequently, the generation of new mitochondria [R]. In mouse melanoma cells, berberine-induced cell death by reducing the activity of the mitochondria fueling the cancer cells [R]. Bitter melon is a fruit grown in Asian countries that is a powerful antioxidant [R]. Bitter melon can induce proteins that increase mitochondrial manufacturing and function (PGC-1alpha and PPAR-alpha) [R]. In rats fed high-fat diets, bitter melon prevented the loss of mitochondrial function by a process known as mitochondrial uncoupling. During uncoupling, the mitochondria produce heat instead of ATP and this results in a loss of energy to the cell [R]. Similar results were seen in mice, where bitter melon supplementation improved mitochondrial function and reduced oxidative stress [R]. Nicotinamide riboside has a very similar function to niacinamide and acts a precursor to NAD+. In mice, this supplement increased NAD+ levels and activated mitochondrial generation in skeletal muscle and fat tissue. Additionally, nicotinamide riboside maintained normal levels of mitochondrial DNA and prevented structural abnormalities of the mitochondria. It may be an effective supplement for those suffering from mitochondrial myopathies (muscle disease) [R]. Supplementing nicotinamide riboside in human and mouse tissues increased levels of NAD+ and SIRT1. This led to improved energy production and protection against age-related and metabolic issues that lead to loss of mitochondrial function [R]. Gotu kola is the common name for the plant Centella Asiatica, which is used traditionally in Ayurvedic and Chinese medicine. In old and young rats, Gotu kola for 2 weeks increased the number of mitochondria in brain cells and mitochondrial function. This was linked to its role in improving cognitive function (Morris Water Maze) [R]. In a rat model of Parkinson’s disease, gotu kola supplementation for several weeks prevented mitochondrial damage associated with neurotoxicity [R]. The exact effects of gotu kola on mitochondrial function in humans has not been studied, but cognitive improvements have been demonstrated in 48 patients who suffered a stroke. This improvement may be a result of gotu kola’s effects protective and regenerative effects on the mitochondria [R]. Gynostemma, also known as jiaogulan, is a plant found in eastern Asian countries and is used for a variety of health benefits. In obese mice with mitochondrial dysfunction, gynostemma supplementation for 8 weeks improved energy metabolism by increasing mitochondrial proteins (AMPK) [R]. Multiple cell studies have found that gynostemma exhibits an antioxidant effect on cells with mitochondrial dysfunction by modifying specific proteins that play a role in mitochondrial activity (AMPK, cytochrome C, reduced unnecessary apoptosis) [R, R, R]. Inosine is a precursor molecule for adenosine and is involved in protein production. In brain cells (glial), inosine delayed cell death by increasing the amount of ATP produced by the mitochondria. It, therefore, may improve mitochondrial activity and cell survival [R]. C60 is the chemical formula for a compound called fullerene. It is a new anti-aging compound that can be purchased as a supplement. C60 reduces the effects of free radicals released from the mitochondria. Additionally, C60 improves the activity of the electron transport chain and therefore, the mitochondria’s ability to make energy [R]. In rats, C60 reduced muscle fatigue associated with a free radical formation in skeletal muscle cells. This is due to its antioxidant activity [R]. In bacterially activated cells, carboxylic acid C60 improved mitochondrial dynamics by inhibiting programmed cell death (apoptosis) and the oxidative stress caused by free radical formation [R]. MitoQ is a supplement specifically designed to prevent oxidative stress within the mitochondria. It has been studied in for its efficacy in human trials of Parkinson’s disease and hepatitis C, both of which are linked to oxidative stress and mitochondrial dysfunction [R]. Parkinson’s disease progression is heavily influenced by oxidative stress. In 128 patients with Parkinson’s disease (DB-RCT), mitoQ was no more effective than placebo at reducing the progression of Parkinson’s [R]. However, in 30 patients with hepatitis C (RCT), mitoQ improved liver function and decreased liver damage (alanine transaminase levels) linked to mitochondrial oxidative stress. Further studies are required to demonstrate the effects of mitoQ on humans with different diseases caused by oxidative damage [R]. 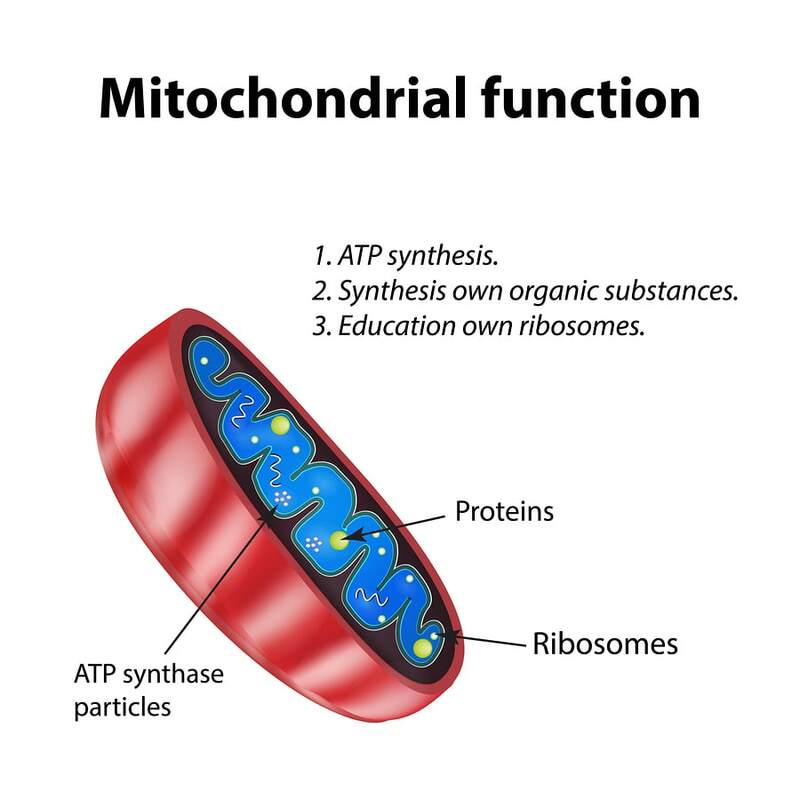 Animal studies in mice, guinea pigs, and rats with conditions caused by oxidative stress have shown that MitoQ supplementation effectively protects against mitochondrial damage and dysfunction [R, R, R, R]. Butyrate is a molecule found in fatty acids that have many different health benefits. In mice with insulin resistance (a sign of mitochondrial dysfunction), butyrate supplementation for 1 week improved mitochondrial function by increasing energy expenditure [R]. Similarly, in obese mice, butyrate improved glucose metabolism and energy expenditure in the liver. This effect was due to its antioxidant effects, reducing damage to the mitochondria [R]. Hydroxytyrosol is a compound found in olive oil with antioxidant and anti-inflammatory properties. In rats with breast cancer, hydroxytyrosol improved mitochondrial function in the heart and prevented oxidative stress caused by the chemotherapeutic agent doxorubicin [R]. In mice, 8 weeks of hydroxytyrosol improved mitochondrial function by increasing proteins (SIRT1, AMPK, PPAR-alpha) involved in energy dynamics and reducing oxidative stress [R]. Hydroxytyrosol also increased mitochondrial generation through proteins (PGC1-alpha) in fat cells, which led to increased mitochondrial DNA and the number of mitochondria per cell [R]. Similarly, multiple cell studies also support the antioxidant activity of hydroxytyrosol [R, R]. N-acetyl cysteine is a supplement used to treat paracetamol overdose, cystic fibrosis, and chronic obstructive pulmonary disease. In a mouse model of Huntington’s disease, NAC treatment for 9 weeks reduced oxidative damage to the mitochondria and delayed the onset of motor dysfunction [R]. Similar effects were seen in a rat model of Huntington’s disease [R]. In multiple cell studies, NAC administration exhibited the same capability of improving mitochondrial function by reducing oxidative stress [R, R]. Succinic acid, also known as succinate, is an intermediate molecule of the Krebs cycle that plays a significant role in the electron transport chain. It can be purchased as a supplement to boost energy production by the mitochondria. Limited studies have been conducted on the effects of succinic acid supplementation. In rat liver cells, succinic acid administration prevented structural and functional damage to the mitochondria caused by oxidative stress. It also prevented the release of protein molecules that trigger cell death from the mitochondria [R]. In brain cells (glial) that exhibit mitochondrial dysfunction (inability to utilize oxygen and glucose efficiently), succinic acid supplementation improved mitochondrial function by increasing glucose and oxygen usage. This led to increased levels of ATP [R]. A plant used in traditional Chinese medicine, Chinese skullcap may benefit mitochondrial function. Chinese skullcap can induce cell death in the mitochondria of cancer cells. This effect is caused by increasing SIRT3, a protein involved in maintaining only normal mitochondria and sensing dysfunctional activity within the cell [R, R]. In rat cells, Chinese skullcap protected against mitochondrial dysfunction caused by Antimycin A, a component of bacteria. It did so by reducing the free radical formation and promoting the activity of the electron transport chain [R]. Creatine is a naturally occurring substance that plays a major role in the recycling of ATP in muscle and brain cells. Multiple cell studies have indicated that creatine is effective in restoring mitochondrial function, protecting against structural damage and oxidative stress, and reducing the impact of mitochondrial DNA mutations [R, R, R]. HMB, or beta-hydroxy beta-methyl butyric acid, is an active breakdown product of the amino acid leucine. It is used as a supplement to prevent muscle protein loss. In 19 adults aged 60 to 70 with muscle loss during bed rest (RCT), HMB supplementation for 8 weeks restored mitochondrial function in skeletal muscles (higher levels of oxidative phosphorylation) [R]. HMB supplementation in skeletal muscle cells stimulated the production of proteins (PGC-1alpha) that increase the number of mitochondria per cell, overall improving skeletal muscle health [R]. However, another study of skeletal muscle cells indicated that HMB supplements had no effect on mitochondrial function or content. Benefits may be specific to people wanting to build up muscle content [R]. ALCAR, also known as acetylcarnitine, is a naturally occurring substance often used as a supplement to improve cognitive decline, aging, and blood vessel health. In mice, ALCAR increased SIRT3 in the kidneys, thereby protecting against acute kidney injury and improving mitochondrial function [R]. In rats, ALCAR increased mitochondrial generation [R]. In a mouse model of fatty liver disease (non-alcoholic), coadministration of ALCAR and lipoic acid for 6 months reversed mitochondrial abnormalities and improved the size of mitochondria in the liver (mitochondrial fusion) [R]. Danshen comes from the roots of Salvia miltiorrhiza or red sage. It has been used historically in traditional Chinese medicine. In diabetic rats, danshen treatment for 3 weeks increased the activity of mitochondrial proteins (SIRT3, PGC-1alpha, and AMPK) involved in both the proper functioning of mitochondria and the generation of new mitochondria [R]. In rats with induced ischemic injury (loss of oxygen to tissue), pretreatment with danshen for 10 days before the injury prevented mitochondrial dysfunction by acting as an antioxidant. Danshen reduced oxidative damage and therefore improved cognitive function [R]. In heart cells, danshen prevented mitochondrial instability that leads to cell death [R]. Caffeic acid is an antioxidant molecule found in plants. In ischemic (loss of oxygen) rat kidney cells, caffeic acid reduced mitochondrial dysfunction and oxidative damage. Additionally, it improved oxidative phosphorylation and prevented cell death (apoptosis) caused by the mitochondria [R]. Similar improvements to energy dynamics by the mitochondria were seen in rat liver cells [R]. In multiple cancer cell lines, caffeic acid administration targeted the mitochondria and was a potent inducer of cell death (apoptosis) [R, R]. Thus, it may be an excellent addition to chemotherapeutic agents. Green tea is notorious for its many health benefits and has been found to improve mitochondrial function. One of the main active ingredients, epigallocatechin gallate (EGCG), accumulates within the mitochondria and activates a number of proteins (AMPK and PGC-1alpha) related to mitochondrial function and number [R]. In rats given the powdered green tea for 3 weeks, kidney function was restored after injury by improving number and activity of mitochondrial proteins (PGC-1alpha and SIRT1/3) and increasing mitochondrial DNA levels [R]. In colon cancer cells, EGCG triggered cell death through the mitochondria (AMPK-dependent apoptosis) [R]. Curcumin is the active compound found in the spice turmeric. It has many health benefits, but due to the strong taste of turmeric, is often taken as a supplement. In rats injected with curcumin for 28 days, increased numbers of mitochondria were observed in skeletal muscle cells after exercise. This was mediated by increased levels of molecules involved in mitochondrial function and activating them (cAMP, AMPK, SIRT1, and PGC-1alpha) [R]. Low doses of methylene blue protect the brain from disease by acting as an antioxidant in the mitochondria. It also acts as an artificial electron donor to complex I-IV of the mitochondria. MB increases heme synthesis, cytochrome c oxidase (complex IV), and mitochondrial respiration [R], all of which help cognitive function. This means that it can increase ATP production. ATP is the currency of life and the energy that powers humans. If our production of ATP declines, our physical and mental performance declines. Even healthy individuals can benefit from a boost in ATP production. However, high concentrations of methylene blue promote oxidative stress. Therefore, it is expected that low methylene blue doses or concentrations will be, in general, more effective than large ones at facilitating physiological effects within mitochondria. In fact, at high local concentrations, methylene blue can potentially “steal” electrons away from the electron transport chain complexes, disrupting the redox balance and acting as a pro-oxidant [R]. At low concentrations, methylene blue can interact with oxygen to form water, which would decrease the superoxide radicals produced during the process of oxidative phosphorylation. MB can also trap leaking electrons produced by mitochondrial inhibitors and preserve the metabolic rate by bypassing blocked points of electron flow, thus improving mitochondrial respiration [R, R, R]. In a rat model of cerebral ischemia, methylene blue was able to speed up the removal of damaged mitochondria from a cell prior to cell death (mitophagy) [R]. Additionally, in rat models of pancreatitis, methylene blue reduced mitochondrial dysfunction [R]. Methylene blue also reduced the mitochondrial damaging effects of amyloid beta in animal models [R]. Thus, methylene blue is a potential target for mitochondrial dysfunction [R]. Thank You, I hope it will be updated or upgrade of this list. I have to voice my interest for the kindness in support of people that actually need guidance on this one concern. Your special dedication to obtaining the solution up and down became incredibly invaluable and has continuously made associates much like me to reach at their ambitions. The helpful help and advice means so much an individual like me and especially to my mates. Many thanks; from everyone of us. hi, the terms “ppq supplement” or “mitoQ” or “ppq and mitoQ” in Google pulled up multiple results for me. I’m not sure what the issue might be (maybe country – I’m in USA). Good luck! Can you help me supplement to reverse electromagnetic sensitivity? My intestines contract and grip and pull when I’m exposed. Yes everywhere. This is a most helpful and practical article. The more I research my lifelong lack of health, the more I keep coming back to mitochondria – and to see several of my daily stalwarts on the list, and several already on my wish list, I think at last I might be on the right track. Thank you so much, this is invaluable to me. Thanks for letting us know. It was added to the post. Fasting may help detox and let the gut lining heal from no gluten/GMO. Vit D3/sunlight may help heal the gut lining. No gluten/dairy/soy/sugar/GMO/food with a label may help heal the gut lining so more nutrients absorb from food/supplement. Soy may block thyroid which stimulates the mitochondria. Soy maybe in 60% food. Melatonin may plug holes in mitochondria membrane. Sugar may slow mitochondria. Awesome article! Thank you! PQQ is also in some foods parsley/potato/Kiwi fruit/papaya/green tea/oolong tea/Natto/Green pepper/spinach/carrot etc. which is cheaper than the supplement. Mg helps protect mitochondria. Avoiding chemicals/heavy metals is needed to protect mitochondria. People can be born with hurt mitochondria from their mom. Antibiotics may hurt mitochondria which are like ancient bacteria. Herbs/ozone/strong probiotic/Far Infrared Sauna may help infections. Far Infrared Sauna may detox heavy metals/chemicals/Lyme/yeast etc. and let mitochondria work better. Amour thyroid instead of Synthroid may help. Zn/Se/enough iron/probiotic/Vit B12/Vit A/iodine/tyrosine may help the thyroid hormone which stimulates the mitochondria. Dear Self Hacked, this article, like all your articles, is very interesting. But I also find your articles often overwhelming. They are like a ‘laundry list’ of supplements that might help a certain health problem. Without a sense of which might be more or less effective, which to try together, what amount/dosage etc. I therefore often find your articles very informative, but not very ‘actionable’. Don’t mean to criticise because I love your research and work. But I end up finding your information more academically interesting, less practical/implementable. Thanks for your comment. What you’re saying is true, but the point is to pick a couple of things that you feel comfortable with and try them for yourself. What works for one person, may not work for the other. Also, some people may be allergic to certain supplements, but not the others. 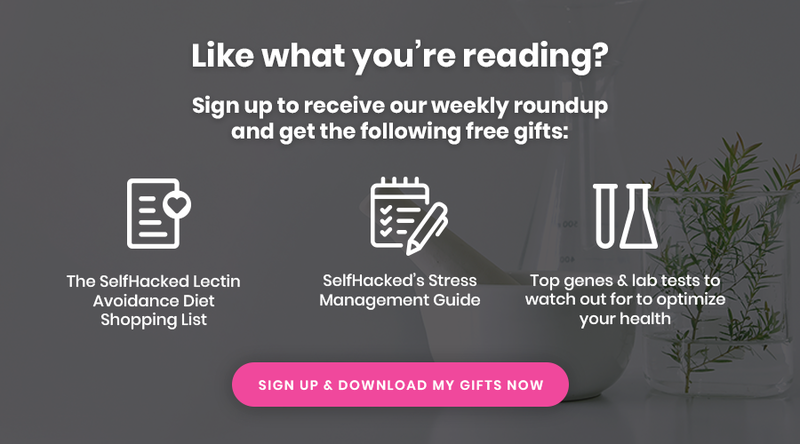 We give our readers all the information and let them choose, instead of giving them 1-2 things and saying this will work for everyone. We don’t write recommendations, we share the scientific information so that you can make an informed decision. 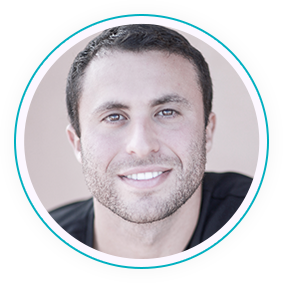 It’s not an easy way and we know, but it’s the right way to biohacking your own health. Just curious- is this list written in order of importance/benefits or just a collection in random order? This article is not written any particular order. Thank you very much for this excellent scientific paper ! The knowledge is the power !